(Jan. 2, 2008) Futaleufú, the small Patagonian community of 1,200 people that is best known for world-class whitewater on the nearby Futaleufú River, recently played host to adventure film protagonist Joby Ogwyn. Ogwyn arrived to Futaleufú early this Chilean summer to film a segment of The Adventurist, an outdoors TV series put together by National Geographic International and Rush TV. The concept for The Adventurist series is Ogwyn’s, who spent two years looking for institutional support before concluding a deal. But sealing the contract was child’s play compared to the fierce adventure that is embodied by the series itself. The gut of the show illustrates Ogwyn’s own true competitive strength. 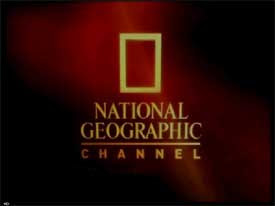 Each episode documents two weeks in which he must learn and master an extreme adventure sport. His past shows have included running with the bulls, vertical rock climbing and base-jumping. In order to cram for the skills required in the art of whitewater kayaking, Ogwyn approached Chris Spelius, the owner of the Futaleufú outfitter Expediciones Chile. It’s no stumper why Ogwyn sought out Spelius and the infernal Río Futaleufú in his pursuit of expert status. Spelius was a 1984 U.S. Olympic team kayaker and was the first person to successfully descend the Futaleufú River solo. The Futaleufú, along with Africa’s Zambezi River, is the top commercially-run whitewater river in the world. To successfully negotiate the deep trenches of the Futaleufú is to claim a feat held by few – and certainly none as inexperienced as the Adventurist himself. Ogwyn practiced on the near by Espolón River, where he managed to acquit himself as a competent kayakist after 14 long days of training. He was then fit and rigged for his dip in the fire. “I was nervous. Of all the different things I have trained to do, this was one of the hardest and most intimidating. But I was up for the challenge. However daunting it was, I knew my only choice was to concentrate on everything I had learned and to use that knowledge and those skills to get me through it,” said Ogwyn. On-looking professionals acknowledged that Ogwyn’s learning curve was impressive. Ogwyn ran his final descent of Futaleufú white water with precision. Against a relentless current and violently stirred chop, he cut clean lines and maneuvered his craft with expertise. Ogwyn, as most do, grew passionate about the beauty of the Futaleufú River. His determination, and perhaps his stubbornness, helped him conquer a river that few ever will.